” Diabetes ” a word that may bring chills down your spine when detected for yourself or for a loved one. The first thing that comes to your mind after being diagnosed as a diabetic is, ” What do i eat ? ” ” What is carbohydrate?” and ” what is low glycemic index food ? ” . Well we would make the answer simple for you in this Type 2 Diabetic diet plan for Indians (1500 calories). I am sure that by now you already know the basics of what happens in diabetes , and what is insulin. Probably you must have heard from a lot of people that you need to drink a glass of Bitter-gourd juice (karela) juice every morning and avoid sugar to the fullest. In a way most people think that after being diagnosed with diabetes, they lose their freedom to eat tasty food. But this is not true , you can still enjoy the liberty of eating what you wish to eat. All you need is to maintain a balance over the food you eat and the exercises you do. Glycemic index is the capacity of a particular food as to how quickly it can raise the blood sugar level. The foods which are quickly digested and release glucose immediately to raise the blood sugar levels have a high glycemic index. where as those foods which take longer to digest and release glucose slowly in the blood stream are the ones with low glycemic index. Researches have proved that low glycemic index foods are better for the health of diabetics and those who are prone to diabetes. Constantly high levels of sugar in the blood vessel can damage these blood vessels causing greater threat and irreversible diseases of heart and other organs in the body. In a Type 2 Diabetic diet plan for Indians (1500 calories) you can include the following foods. 1] Bran can be added in your flours to reduce the GI and increase fiber. 2] whole wheat breads , Multi-grain breads with broken grains are healthier than refined flour breads. 3] Majority of vegetables are low in glycemic index and can be liberally used in day to day life. On must always eat variety of vegetables than repeating the same ones every day. 4] Include brown rice over white rice. 5] You can enjoy the whole wheat varieties of pastas and noodles . These are easily available in supermarkets these days. 6] salads should be a compulsory part of both main meals . This provides fiber and helps in slow release of glucose in the blood stream. When to eat sweets and other high carb fruits like mangoes ? Diabetics who are fond of eating desserts and sweets get depressed when they have to keep avoiding it all the time. But this is not so. you can have sweets and mango (1-2 pieces ) during mid meals / In between 2 meals . Or early morning hours when the blood sugar levels would be lower than usual. If you are following a Type 2 Diabetic diet plan for Indians (1500 calories) , it is always better to avoid eating sweets and fruits along with the meal. As this may lead to sugar spikes in the blood . This Type 2 Diabetic diet plan for Indians (1500 calories) plan will give you an example of how to place your fruits in eating routine. 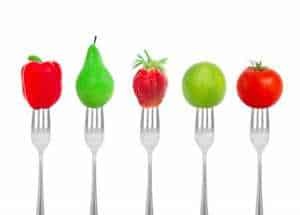 Read – List of fruits and vegetables allowed in diabetes; blood sugar level wise . – 1200 calories diet plan for diabetes and weight loss. Normally if you ask any body, you will be told to do morning walks for around an hour. But i think a deeper approach is needed here. To decide what exercise will suit you best, first check your sugar levels and decide accordingly. Fasting sugar levels are a result of overnight hepatic output of glucose (produced by the liver during night , unlikely of what food you ate). To control increased fasting blood sugar levels, morning walks will not be very helpful. You need to walk for 45 mins at evening or late at night to control the fasting blood sugar level and bring the liver to produce less glucose at night. If your pp blood sugar levels are high, this is directly proportional to the food you eat. hence one must eat correctly and walk for 10- 15 mins (slow to medium pace walking) at home or parking area or terrace. These small walks after all 3 main meals will help in better digestion and utilization of already present blood glucose, making room for some more. Hence lowering your pp blood sugar levels. Morning walks are good for overall control. Hence you must decide on your walk timings based on the current blood sugar level scenario. Before you proceed to the 1500 calorie type 2 diabetic diet plan for Indians , check this video on 1200 calorie type 2 diabetic diet plan for Indian. This is best suitable if you want to lose weight along with controlling your blood sugar levels. This Type 2 Diabetic diet plan for Indians (1500 calories) is made up using low glycemic Index foods . 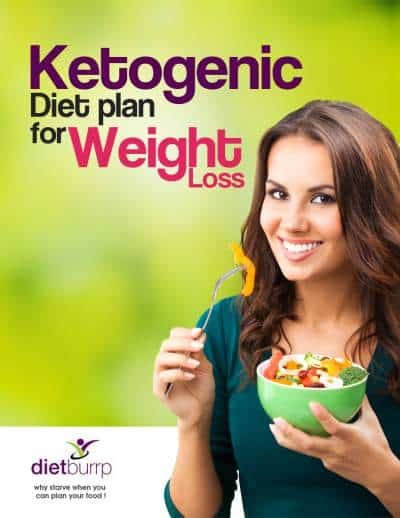 This Type 2 Diabetic diet plan for Indians (1500 calories) is a sample plan for reference and will suit both men and women with the requirement of 1500 calories. to calculate your minimum calorie requirement you can use this tool – BMR calculator . Let us now see this Type 2 Diabetic diet plan for Indians (1500 calories). This Type 2 Diabetic diet plan for Indians (1500 calories) was designed as a sample diet plan. suitability of it depends on a lot of factor. It is always advisable to check your blood sugar levels after the first week is over to know the effect of the diet you are following on your blood sugar levels. As we all know, precaution is better than cure. Hope this Type 2 Diabetic diet plan for Indians (1500 calories) helps you in achieving your health goal. All the best. – Is rice healthy ? I saw the Diabetic 1500 cal diet plan but there is no meat included with that. So either chicken or goat cannot be added to diabetic diet? you can add chicken for lunch . avoid non veg for dinner and no mutton please . I am type 1 diabetic since 1996 and I take insulin (Huminsulin 30/70). My height is 5.4 inches and weight is 65 kg. Now a days my fasting blood glucose level is around 200 mg/dl and PP blood glucose level is around 360 mg/dl. Sometimes my glucose level goes down also. My lipid profiling is Ok. Kindly give me suggestion to control my blood glucose level in normal range. Your suggestion will be highly appreciable. Good Day,My wife is 38 yrs old and now she is pregant for second baby.She is actually type 2 diabet.Actually her morning value is normal,but afternoon and night is around 8-9 mmol. But after 1 hr it is reducing.I am trying different food for the same.Pls suggest a good diet plan for her she is taking metformin morning 1000 and night 1000mg.We dont want to take insulin injection is there any way to control the sugar without insulin.Actually we are going walking around 55mts daily in night. Expecting your reply.She is in 4 weeks pregant. I am Latha Antony.I am 39 yrs old.Now i am pregant of 4 weeks.Initially i am type 2 diabetics patient.Before pregant i am taking Vipodoment ,now i am taking 1000mg metformin morning and 1000 mg metformin night. 1 small rotti with 1 CUP pommagrante. Now guide us how we can make a healthy diet and we want our baby to be fine.Is there any alternative chart available. Pls share your account details so that we can transfer the amout.We need a Weekly consultation but the delivery. if not , your father can follow the above mentioned diet plan . this will help in great deal to get his sugar under control . I have been diagnosed with Type 2 diabetes a year back. the readings Fasting it was around 197. Doctor did a glucometer test, then it was around 260. I am talking Ashwagandha and Sugar balance tablets of organic india. But still I have some pain in my foot. can you suggest me a Diet plan to control the problem. I am strict vegetarian. mam my wife is having fasting 330 and pp 440 request the diet plan . I want to avail a diet plan for my father who has high blood sugar. Can you please share the details of contacting you? Mailing you the details . Myself Anu, I am 2 month pregnant and i have diagnosed with type 2 diabetes. I was not aware that i am diabetic hence i did not check my levels. When my pregnancy test came positive, my Gyane performed test in which i diagnosed diabetics Type 2, my fasting sugar was 275, PP 354 and my H1AC level was 12. After meeting with endocrinologist , she started insulin, now it has been ten days from first November and my sugar levels i.e fasting reduced to 130 and PP is 150. Whereas i have reduced my diet also. But since i am pregnant i need to know the diet plan which will be helpful to my baby also. Myself Asha, I am 2 month pregnant and i have diagnosed with type 2 diabetes. I was not aware that i am diabetic hence i did not check my levels. When my pregnancy test came positive, my Gyane performed test in which i diagnosed diabetics Type 2, my fasting sugar was 275, PP 354 and my H1AC level was 12. After meeting with endocrinologist, she started insulin, now it has been ten days from first November and my sugar levels i.e fasting reduced to 130 and PP is 150. Whereas i have reduced my diet also. But since i am pregnant i need to know the diet plan which will be helpful to my baby. I am having Type-2 diabetics since last 3 years. Since last one month I am observing my sugar level has gone up. Now fasting is 95-110 and PP is 170, 210. Drink 3 Glass of lukewarm water and then fresh-up. I am not able to understand what mistake I am doing. Why sugar level is high ? I am taking one tablet of Janumet before breakfast. Every thing looks fine .. have you been stressed out for any thing lately ? may be at work or so ? does diabetes runin your family ? have you checked with your doctor ? I am diabetic from the age of 25. Now my age is 37. My b.s was uncontrolled . Hba1c was12. Now trying to control with huminsulin 24-0-24units and xetaplus and diamicron both 1-0-0. But still my b.s is not decreasing. What kind of food should I eat n wat kind of exercise should I start with..
have you tried the above mentioned diet ? you can try following it for 15 days . and see the changes in your blood sugar .. let me know nd we can decide what measures you need to take further . I am a nineteen year old boy who has been diagnosed with type 2 diabetes. When I had checked my fasting sugar level two days ago, the result was 338. However, then I took some precautions and ate only 80% of the usual diet. Today, the sugar amount was reported to be 225 (Fasting, Morning). Now, I’m obviously frustrated for having acquired diabetes at such a small age and worried about my health. I will definitely follow this diet plan to see if it’s of any help. I have NOT consulted any professional doctor regarding this matter yet, because I see that even a slight change in my diet can affect my blood sugar levels in a big way. The drop of 113 sugar amount is itself a remarkable achievement without any medication as per the opinion of my cousin who’s currently an MS student. Would I be prescribed medicines by the doctors even if the trend of declination in sugar level goes on as such, to reach the normal value? Are you sure that the diet plan you have prescribed can help me manage my sugar levels naturally without taking medicines? Is it a good plan for me to continue going to gym, given that I’ve been diagnosed with high sugar levels? What should be the frequency of checking the blood sugar levels? Look, I just don’t want to take medicines life-long for diabetes. And, secondly I don’t even know if I have diabetes, I have a feeling that it’s just a lot of accumulated sugar that would dissipate away with time when I control my diet. Please answer my questions, correct me where I went wrong and clear my confusions. Firstly , you should really see a doctor . it is not normal for a 19 year old to develop type 2 diabetes . the rise in blood sugar can be depictive of some other health issue as well. This , only a doctor will be able to rule out after examination . It is always better to be sure before you make any self assumptions . secondly , yes , it is possible that this is diabetes and the doctor prescribes medicine . but before starting to take them , you cn give it 1 month of exercise and diet and check your levels . if you are successful in bringing down your fasting levels to less than 125mg/dl , then your sugar can be well controlled diet diet and exercise. -yes the above mentioned diet plan will help you reducing your blood sugar levels. – if you havent started going to gym yet , the best thing to control sugar is to start with walking . gymm workouts can be intensive and at this level can lead to hypoglycemic episodes . so to be safe , start walking for 30 mins in the morning and 30 mins in the evening or at night after dinner . – Right now , it is best to record your fasting sugars daily once in the morning and maintain a diary to note thi down . this will help you understand your body responce nd pattern . and will be helful in future to take better steps towards your health. – there is nothing right accumulated sugar . but nevertheless meet the doctor at the earliest to rule out any medical emergencies. let me know if you have any further queries and how it goes with diet and exercise . Very detailed article on the Indian Diet plan for Type 2 Diabetic. Also, appreciate your responses for readers’ comments through which we get additional details. I am a 58 Year old male. Based on your calorie calc, I need 1700 cal. My typical meal plan is very similar to your’s and will be around 1200 cal. I walk around 10 miles per wk. I do morning Yoga for around 15 mts. Drink 2 ltrs of water per day. An apple and a banana are in my daily plan. Stopped adding sugar/milk in my coffee for almost an year now. Don’t eat sweats. No juice/sodas. Weekly Golfer. I havn’t measured the carb content in my meal. In spite of following a healthy routine, I just found out during my visit to India that my BS (Random), immediately after lunch was 262 (I went for a test for a shoulder pain). BS after 12 hrs of fasting on next day showed 192. Today, HbA1C shows 10%. I plan to consult a GP today but my approach would be no-medication and control by diet/exercise (My mom is Diabetic). Any thoughts on what might be causing this? Though I am slim, I followed the controlled/no sugar diet to reduce my belly (I am a teetotaler) and my BS was within limits. Should I follow strict low carb or no carb diet? Thank you for appreciating our work and for reading at Dietburrp . Looking at your readings , we will have to change your routine and food habits . sometimes calories are not every thing . you said you are eating something similar to our 1200 calorie diet plan . but even if this type of diet not working then we need to change the source of carbs , and calories , check with your walking and workout pattern and include proper habits to get it under control . You can subscribe to our personalized diabetic diet plan and we will do all the maths and planning for you . 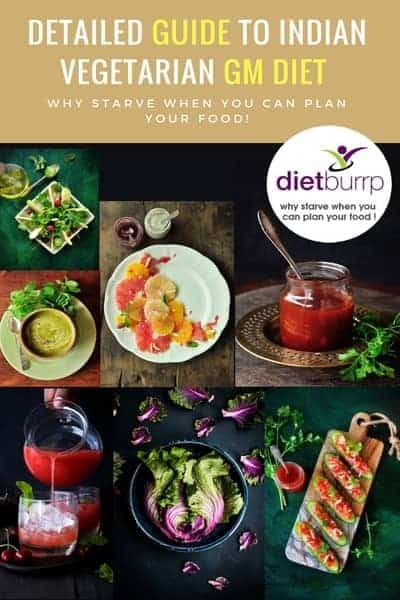 please check this – https://www.dietburrp.com/diet-services/ also mailing you the details . I want to get pregnant. But I am diabetic 2 patient. My fasting sugar is 162 and PP is 198. I am taking 1000gm metformin in the morning. My height is 153 cm and Weight is 69 kg. I am pcod patient too. Pls suggest me good diet chart for controlling my weight and sugar level. i am sorry , but we do not have a diet plan ready for you right now, if you wish , you can subscribe our services and ill plan a detailed diet chart for you based on your requirements . i am mailing you the details you can get back to me if interested . I am diabetic type 2 since last 4 rs my Fasting remains around 140. I am looking for a detailed diet plan to follow. I am active in outdoor activities & my daily target is aroound 15000 steps per day. please let me know how you can help me in regulating my fasting & PP. Hi Neeraj , mailing you the details of our diet plan. Is this diet nutritional for me? I am on medication for Diabetes and Cholesterol. Please reply. since when are you following this pattern and what are your current sugar levels ? the diet is ok , but night no roti ? I am 6weeks pregnant. My doc told I have a type 2 diabetes. Please suggest me a diet plan. Waiting for your reply asap bcoz I have to start my diet immediately. Thanks in advance. Have to reduce cholesterol ,fatty liver as well as sugar. this is suitable in all 3 conditions . I am 10 weeks pregnant with type 2 diabetes and right now on insulin and metformin tablets 500 mg m9rning and Night. But my sugar level fluctuate every time. Please suggest me right diet what to have and in what quantity for sugar control and safe pregnancy. Thanks a p9t for your valuable time and suggestions. Madam, recently I have checked my sugar levels they very high and doctor advised to to be on insulin for 15 days… I am taking insulin for 4 times a day. Kindly advise diet chart for 1400 Kcal per day. Can I have eggs in breakfast with bread My PP sugar is 280 , fastin is 150.
you can have 2-3 egg whites in form of omlette or scrambled . with only 1 brown bread , or 1 roti . This is Shabir and i have one question and i need your suggestion i am randomly doing the blood sugar fasting and the result is coming sometimes 105, 112, 110 like that so i need your suggestion what should i do in terms of precaution and what does it mean actually i am confused. To know what your diabetes status actually is you should get your HbA1c test done . once you get it down , tell me the resuts , i will let yoyu know a perfect plan to follow. I am Arup Mondal from kolkata west Bengal.I am 31 years old.recently I checked my blood sugar for the first time and the result showed fasting is 315 and PP is 310.Doctor suggest me metformin1000 mg and glimepiride 2 mg and a diet plan,so please suggest me a proper diet plan,I am so worried. Mam I m diabetic??? Plz reply me…. have you checked your HBA1c ? that is a better way to predict is you are a diabetic. to be declared a diabetic , a person’s fasting sugar level must be greater than 126mg / dl . I read your article on type 2 diabetes and seen your suggested diet plan. They are very interesting. I wish to know whether one can take Idli, Dosa, Moongdal dosa, Pongal etc as south Indians mostly have these food verities for Breakfast and dinner. Thank you for reading at dietburrp and appreciating our work . idli , – 2 with chutney and sambar , monng dosa – 2 small , or 1 big with chutney and sambar , regular dosa , plain , with chutney and sambar is good . avoid potato masala if your sugar levels are higher than 150 mg / dl . if not , you can have the masala too 🙂 . pongal yes ! all these foods can be had . My mother is suffering from type 2 diabetes from past 2 years…earlier she controlled her sugar levels well…but again those spiked up to 154 in fasting…she is a lecturer so following the sane above told routine can be bit difficult…can you please suggest some other alternative.! You articles are great and I want to get some consultation for the diet plan.Can you please reply to my email.I did emailed you 3 days ago. sorry for the delay . have replied your email just now . let me know if you need any further details. My husband is a diabetic since 12 years. His Hb1C is 6.5. He is on diabetic medicines , tablets . Only recently his fasting sugar is suddenly between 150-158 , inspite of light dinner. His Pp, post dinner and other levels are fine. Can you please advise some light dinner menu. We are vegetarians, but eat eggs. My Mom is diagnosed with type2 diabetes 3 years back. She still have problems with maintaining blood glucose levels. Her diet include, Raagi roti, Millet bath mixed with vegetables, brown rice and chapati with some vegetable curry. Recently she got very bad pain in her hands and legs and doctor gave some pills. (Is it because of nerve damage?). Her fasting glucose is pretty higher too. She goes for walk every morning and evening. So please suggest if she has to change her diet or anything else can help her in managing blood glucose levels. I hav been diagnosed by Daibeties 3 week before..today again i hav repeatd my fasting n pp..fasting was 143 n pp 172…i hv been doing walks n followed controld diet since last 3weeks but unable to control my fasting sugar…please help wht shud I do to lower my fasting sugar. I am Prachurya Dash, 23 years old.. 5 years of type 2 diabetes. Taking metphormine tablets. Should i follow this diet chart? Any complications in getting married and having child? Please give some suggestions..
What is your weight ? is this hereiditary ?A diabetic person can lead a healthy normal life , which ofcourse means you can marry and have kids and all .. dont worry at all .. but you really need to correct uour lifestyle by eating the right food and doing the right amount of workout at the right . balancing your blood sugar near normal is the main key . My name is, mamta, age 26, I have been a diebetic from last 4 years, I have lost too much wait that is around 13 kg, my height is 5″4 and my current weight is 64 kg. I want to join zym. I want to toned my muscles because they are very loose because of weight reduction. So what should be my diet plan and whether I should take any protein powder, if yes plz suggest. I would be grateful. i am 1500 diabetic planer. want to know at which time i have to take medicine and how much water to consume in a day . yes you can do the changes , medicines are to be continued as prescribed by the doctor. and 3 liters of water in a day. Thank you for your advice on you tube video. I am having type 2 diabetes since last 4.5 years.my fasting sugar is 137 and PP is 187. I am taking half tablet (500/20) before lunch and full tablet before dinner. I am doing job in project execution hence severe times i am under stress. Kindly advice for diet plan and to control the sugar. Hi Arif, the diet plan mentioned above will really help . just remember to have 2 raw tomatoes before lunch and 2 raw tomatoes before dinner, his will help in reducing your stress levels, as stress can elevate your blood sugars too. your pp sugar is still fine , but fasting sugar is on the higher side , for which it is best to walk for 10- 15 mins after your dinner. you will notice diiference in just 1 week. I assure you . Hi ma’am, Iam 35years old and diabetic since 2012, my height 5’5 and weight is 46kgs for last 6years I was on oral medications but being lost much weight now my endo has suggested for insulin but with this my fasting bs is very much controlled which is about 90-120mg/dl but pp blood sugar is still high around 270-290mg/dl what would you suggest. What is your food routine like ? Usually I take sugar free tea at around 6.15am,then around 8.30 am after taking 20units of insulin I take one chappati with milk or one bowl of oats /Dalia porridge after breakfast I take1 metformine 500 Sr tablett around 11I take green tea with one fruit apple/banana/pomegranate etclunch is around 1pm in which 2rotis /bowl of quinoa/Dalia with salads and Anny curry in evening one herbal tea and one khakhra, before 5min of dinner at 8- 8.30 pm 6units of insulin then one chappati with curry after dinner one metformine 500 Sr tablet.